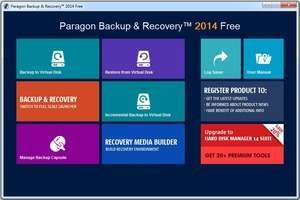 Paragon Backup & Recovery Free is a time-tested backup and recovery tool. With its help, you will be granted full control over the security of your system and data. Based on solid commercial backup and recovery software from Paragon Software, Backup & Recovery Free will give you a rich set of features that you can trust. Paragon Backup & Recovery Free can easily create an exact copy of your hard drive, including the operating system, applications, user settings, and all data. Version 16 10.2.1.1326 is a freeware program which does not have restrictions and it's free so it doesn't cost anything. For security reasons, you should also check out the Paragon Backup & Recovery Free download at LO4D.com which includes virus and malware tests. Additional screenshots of this application download may be available, too.